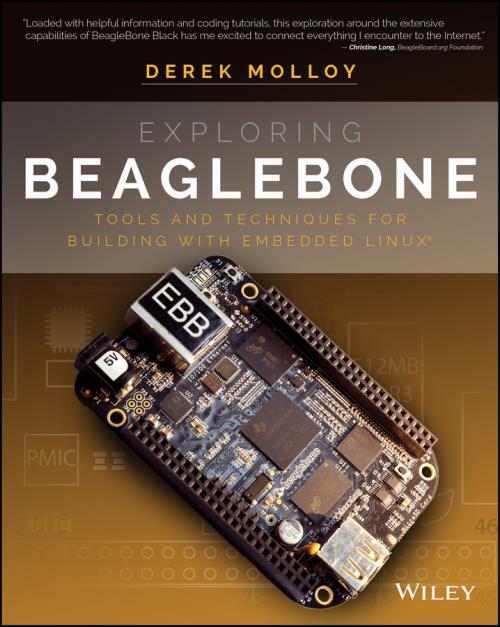 Loaded with helpful information and coding tutorials, this exploration around the extensive capabilities of BeagleBone Black has me excited to connect everything I encounter to the Internet. What I ve learned on this topic has taken me a decade of self–study culling through books and release notes and various platforms. Here, you ve demystified it all in the span of a single (large) volume. This wonderful book is at the nexus of so many of the skills that are vital to today s computer scientists, electrical engineers, and innovators of all stripes as they turn their ideas into transformative creations. Derek Molloy s, Exploring BeagleBone, is THE book to go to if you are interested in learning about embedded Linux programming and how to use it to exploit the powerful capabilities of the BeagleBone single board computer. Whatever applications you can dream up, the BeagleBone can help you build them. This hands–on guide teaches you the essential BeagleBone skills and underlying engineering principles. It then takes you into interfacing, communication, and control so that you can create your own projects. Finally, you ll explore using the BeagleBone for advanced applications such as building Internet–of–Things systems and real–time interfacing. With hands–on examples and outstanding guidance, this book will give you the in–depth knowledge to do great things with the BeagleBone. Visit the companion website at [external URL] for source code, instructional videos, online peer discussions, and more!